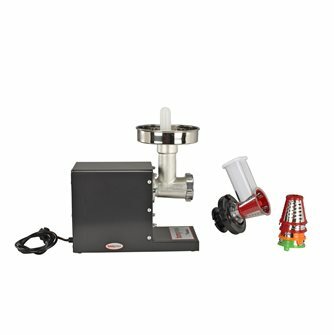 Electric Reber brand meat grinders. 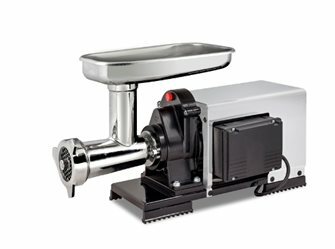 Tom Press is the official Reber after sale service provider for France and Benelux - 2 year guarantee. 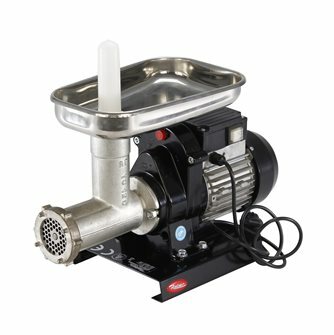 REBER type 5 meat grinder, 400 Watts, 30 to 50 kg/hour. 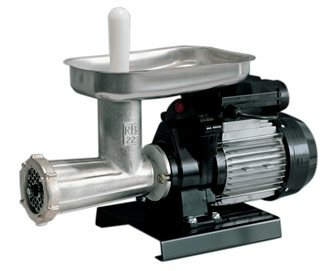 Electric REBER meat grinder type 12, 500 Watts, 60 to 100 Kg/hour. 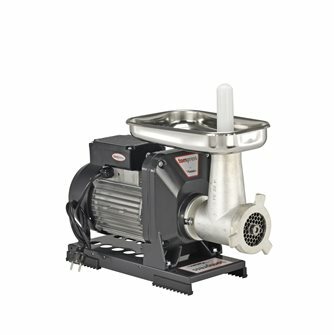 Suitable for grinding the equivalent of an entire pig. 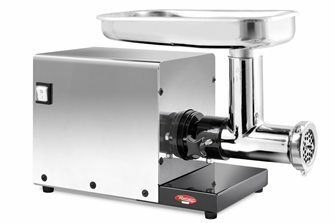 REBER electric meat grinder type 22 in stainless steel, 1100 Watts, short body and endless screw in stainless steel, 100 to 130 kg/hour. 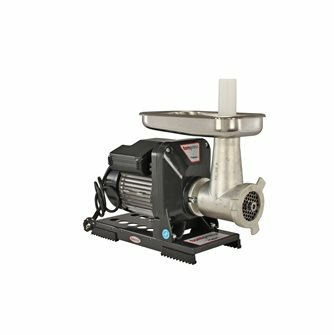 REBER electric meat grindertype 22, 600 Watts, 80 to 120 kg/hour. 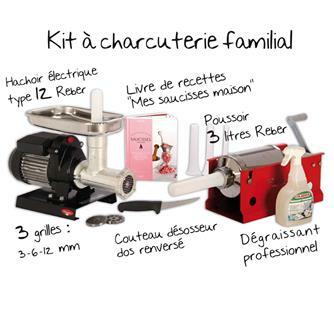 Classic model for family meats. 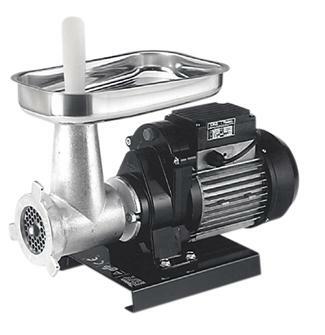 Reber type 32 electric meat grinder, 1100 W, 100 to 150 kg/hour. Kit containing the material for making home-made family cooked meats. Material for processing a half pig or a whole pig. 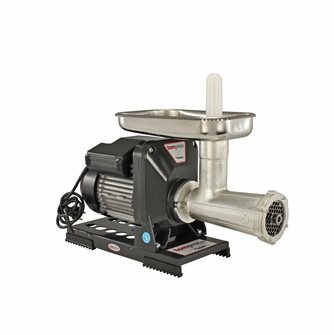 Reber type 22 stainless steel electric meat grinder (body and fairing), 2,000 W, 70 to 160 kg/hour. 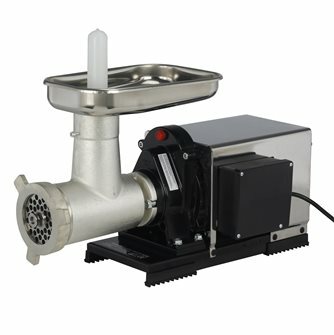 REBER type 12 electric meat grinder, 600 W motor, stainless steel fairing and body, 50 to 100 kg/hour. 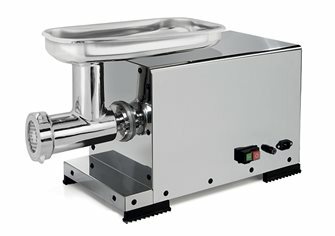 The classic model for family meat processing. 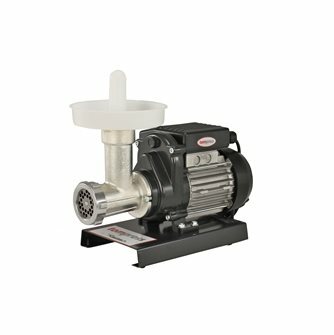 Tom Press is the official Reber after-sales service provider for France and Benelux. Kitchen family robot with No. 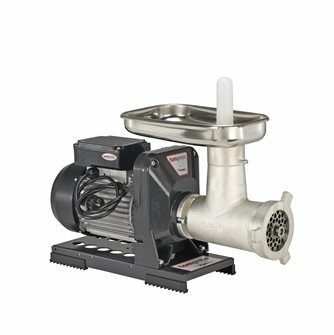 5 meat grinder and Tom Press vegetable grater by Reber. 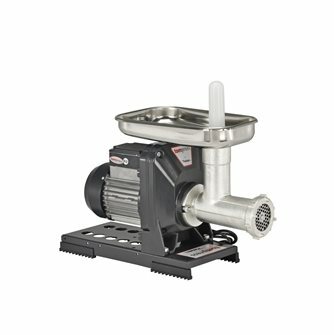 Professional stainless steel meat grinder n ° 8 REBER. The pro alternative chopper chopper. 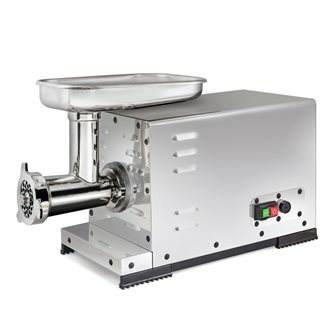 Production of 40 to 70 kg / hour of minced meat. 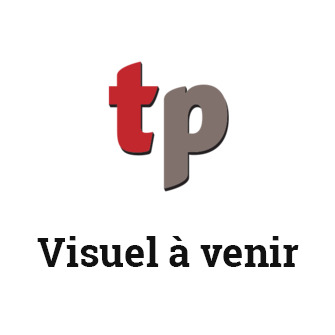 Tom Press is approved by France and Benelux by Reber.